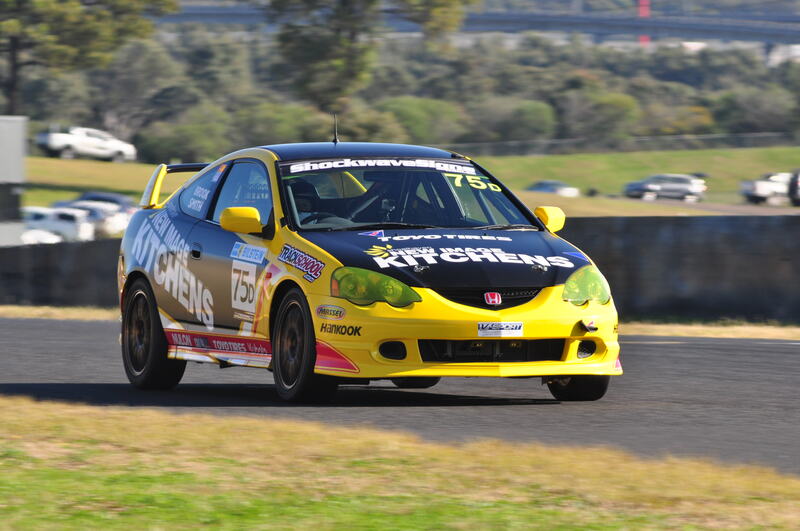 Daniel Smith burst onto the Production Touring Car scene in April, as a PTC Rookie, in a Class D Honda Integra. On Sunday, in Sydney, he could walk away as the 2017 Shockwave Signs Production Touring Car State Champion, and in the process, earn the right to wear the #1 in 2018. 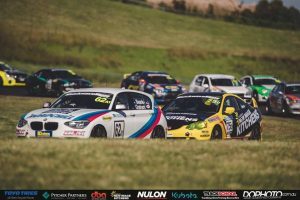 Smith holds a 10-point lead over Jimmy Vernon going into the final three races of the season, in a battle that won’t just decide the State Championship, but also Class D honours for season 2017. 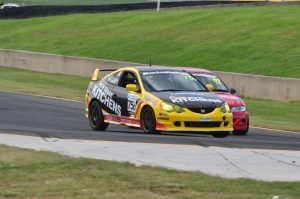 From the very start, it’s been a constant battle between the pair, with Smith winning Class D in the opening five races of the season, before Vernon fired back with victory in the final race of the second round in Sydney, and then the feature race of the two MoComm Cup rounds as well. 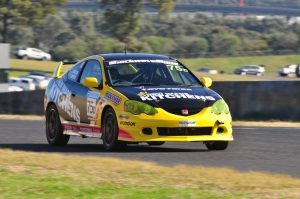 Not only has Daniel Smith’s performance been the standout of season 2017, but the presence of his Honda Integra has breathed new life into Class D, which is no longer as predictable as it once was. 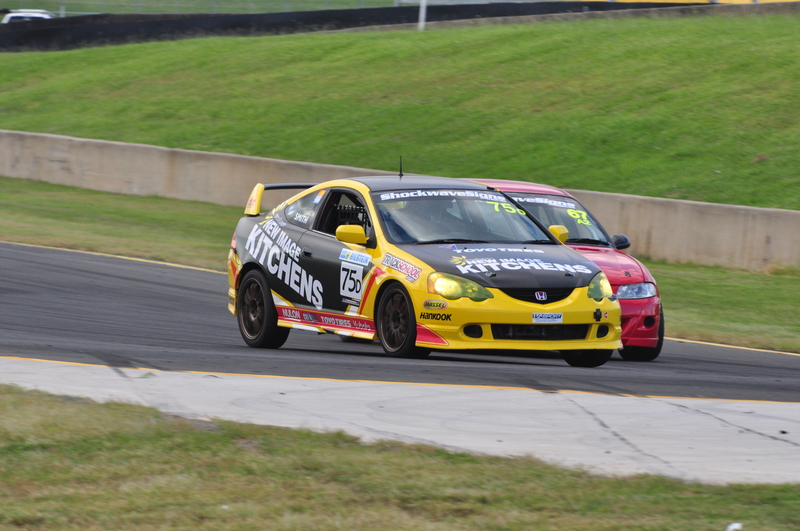 For the last few seasons, the top end of Class D has been dominated by those aboard a Toyota 86, like Chris Reeves and Jimmy Vernon. While Honda has had a presence on the grid, they haven’t been able to match their fellow Japanese manufacturer, until this year. Jimmy Vernon started the season as title favourite, after winning all four rounds that he started in 2016, but that favouritism was soon questioned, after he was completely upstaged by Smith in the opening round of the season, and he’s been playing catch-up ever since, to only ten points behind going into the last three races of the season. Smith’s growth as a driver has been remarkable. 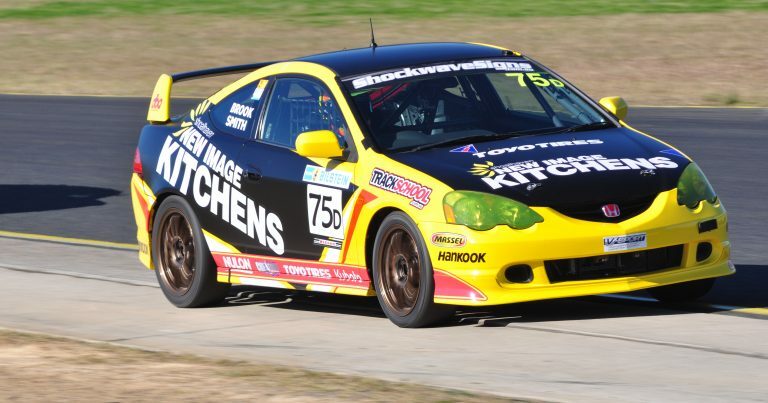 He burst onto the scene in the Series X3 NSW Excel Series, graduated to the NSW Pulsar Series, where he’s also competing, and in title contention, in 2017, and when he’s not racing, he’s a regular driver trainer for John Boston’s Trackschool program. Victory on Sunday would bring the curtain down on the one of the most successful maiden campaigns in championship history. Of the 10 races he’s competed in thus far, Smith hasn’t finished off the podium, within Class D, and in terms of outright honours, he’s consistently run inside the top fifteen all season. For Smith, the equation is simple, finish ahead of Vernon, and the title is his. Finishing behind Vernon will put him at risk of losing the title at the last hurdle, but sprint races have favoured Smith in 2017, so he’ll take confidence from that ahead of Qualifying on Saturday morning. 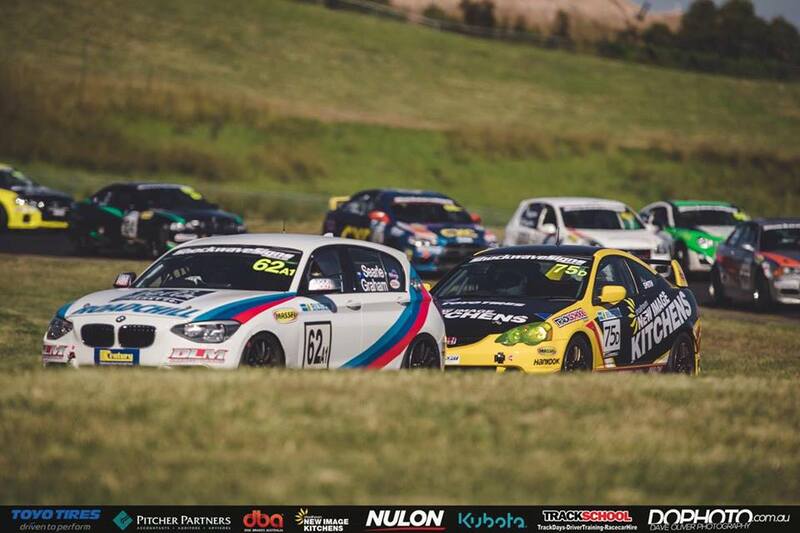 Race 1 will take place on Saturday afternoon, ahead of the final two races of the season on Sunday.